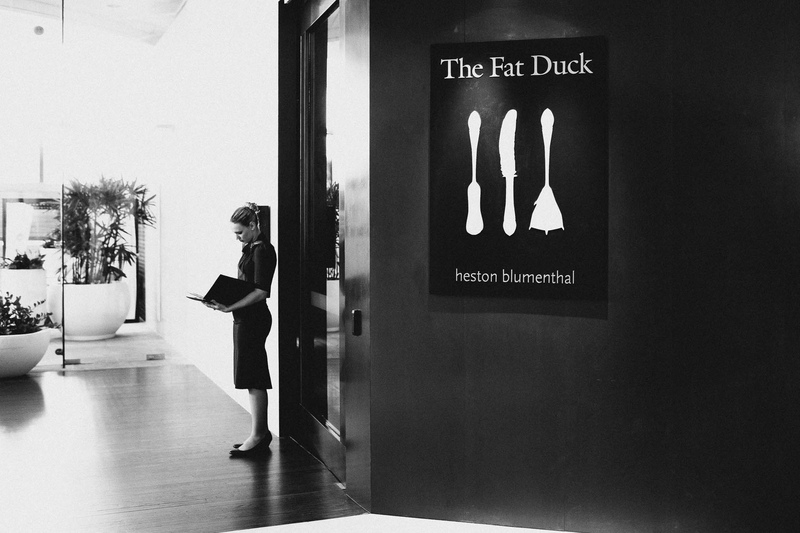 I had pretty much given up my hopes back in late 2014 on dining at the Fat Duck in Melbourne in absence of any confirmation e-mail. Fast forward a couple of months when I had pretty much forgotten about the whole affair when a friend of mine offered me a seat at his table of four. I sheepishly looked at my wife and she reluctantly agreed to me going alone. Fast forward another week and suddenly I had a phone call from the front of house confirming my table for six! I couldn’t believe my luck. It wasn’t difficult to fill up our table. First and foremost we definitely had to invite our friend Sarah who came with us to our last Fat Duck meal in Bray a couple of years ago. Check. My new foodie sidekick and amazing photographer Harvard Wang (who was also photographer to our wedding). Check. My wife’s friend and his wife who are both fine dining and wine enthusiasts (he even had Jeremy Oliver to host his 30th). Check. And my wife of course this time. Check. Returning to the Fat Duck ‘Family’ felt rather nostalgic. A couple of the front of house staff recognised us from our previous meals back in Bray and stopped by to say hi. Having paid upfront for the meal at the time of the reservation all we now had to do was decide on the wine pairing. A couple of us opted for the cheapest option of circa AUD200 a person, whilst one of us opted for the luxurious fine wine pairing at north of AUD 1,000. Hefty, yes. Worth it? Definitely! When you get wine like the Henschke Hill of Grace poured, who could blame her. And, just like the Fat Duck in Bray, the sommelier was generous and topped up each glass of wine at least once throughout the meal. This was going to be a long and fun afternoon! 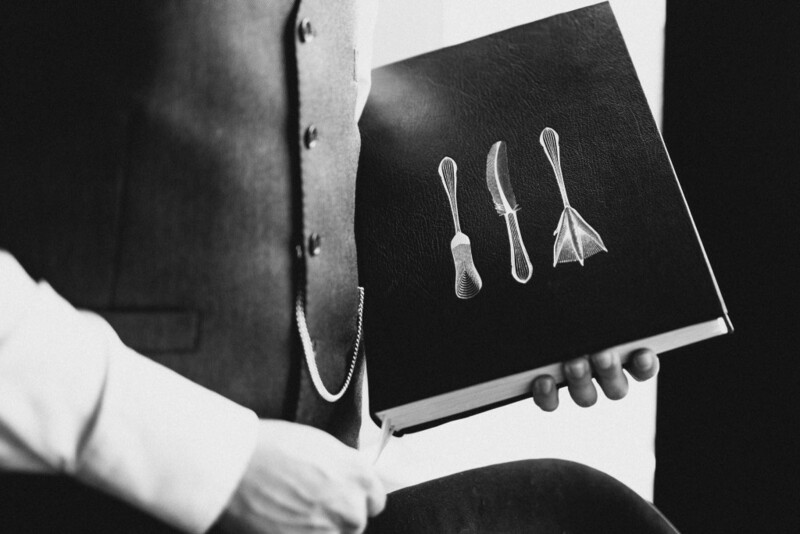 Whilst our wines were chosen, we could not resist checking out the Fat Duck wine bible. My wife and I had fond memories of trawling through the wine list in Bray. Our first trip to the Fat Duck was also our first ever fine dining experience, leading to over a hundred fine dining adventures since then. I guess you could say Heston was the one who really started us off on this journey and passion. We all partook in a glass of champagne as we settled in for the afternoon. 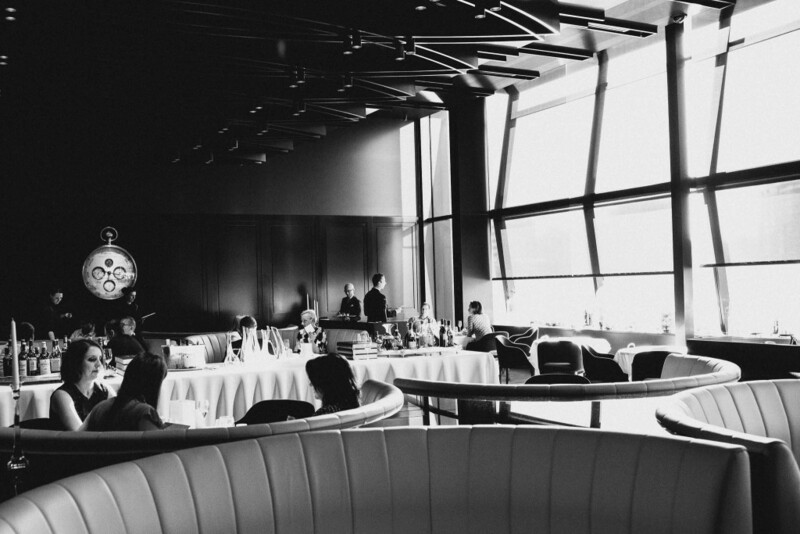 Having been away from the fine dining scene in Europe for a little moment it was rather nostalgic to see the attention to detail and surroundings by the front of house headed by restaurant manager, Dimitri Bellos. There was always someone at the right time in the right place when they were needed. 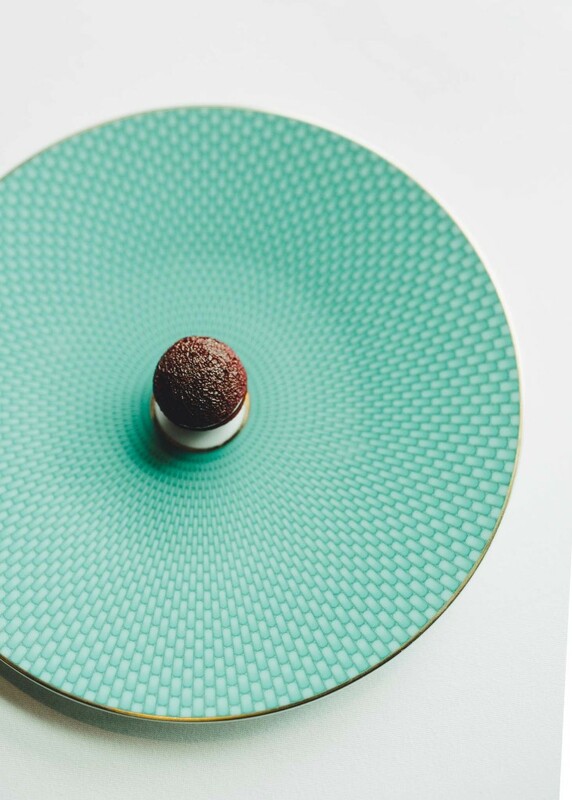 Whilst some of the services at the upper end of fine dining establishments in Australia are very good, there’s still a very long way to go to catch up to the calibre of those like the Fat Duck. 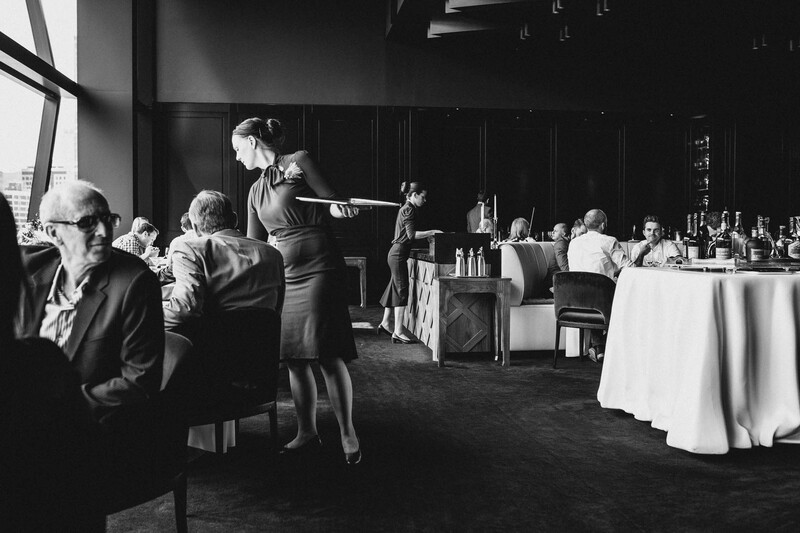 Heston invests in his staff with choreography lessons, and the like, and it showed! Simple things made such an impact. 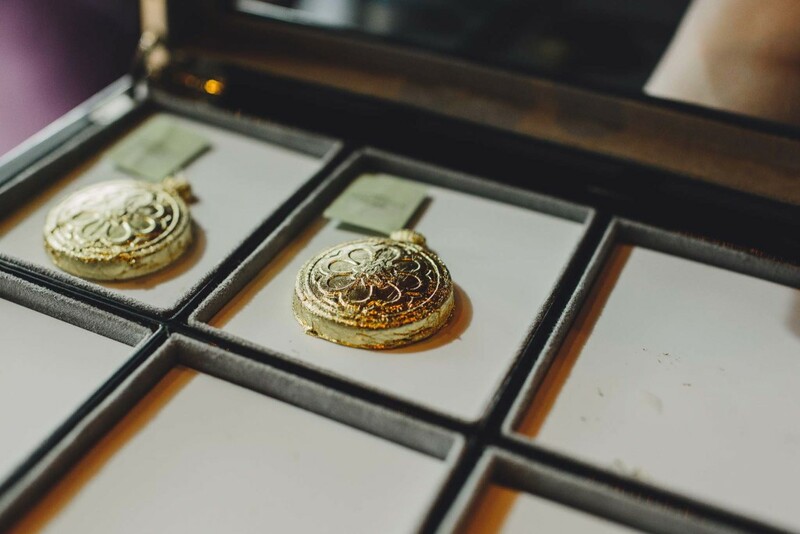 For example after only a couple of small dishes Dimitri had picked out two of the diners on our table were left handed and, without them even registering the change, their cutlery from here onward had been oriented to their left hand. Simply amazing. Course 1: Aerated Beetroot. We were instructed to eat this in one bite. The earthy beetroot macaron dissolved immediately to leave behind a tangy flavour from the horseradish cream. The flavour of the beetroot was much more intensive than the last time I had tasted this dish and I loved the slight heat from the horseradish. There was a lot happening in your mouth from such a small morsel. Course 2: Nitro poached aperitif. Choice of Vodka and lime sour, gin and tonic or campari soda. 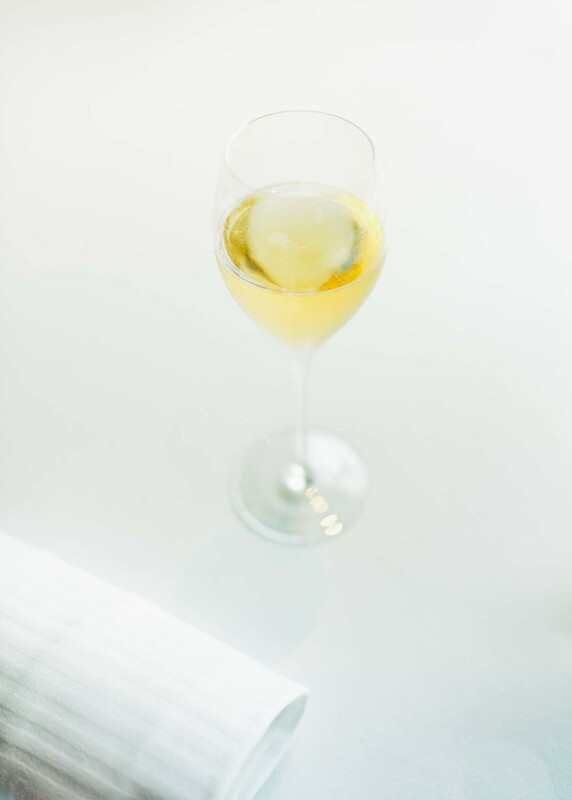 Why have an aperitif in a glass when you can pick it up and pop it in your mouth? I had the gin and tonic which exploded in your mouth with smoke bellowing from my nostrils. Refreshing, fun and a beautiful palate cleanser. Course 3: Red Cabbage Gazpacho, pommery grain mustard ice cream. The deep colour of the red cabbage is mesmerising to watch as it gets poured into your plate of the mustard ice cream. The rich and creamy ice cream balanced out the heat from the mustard. 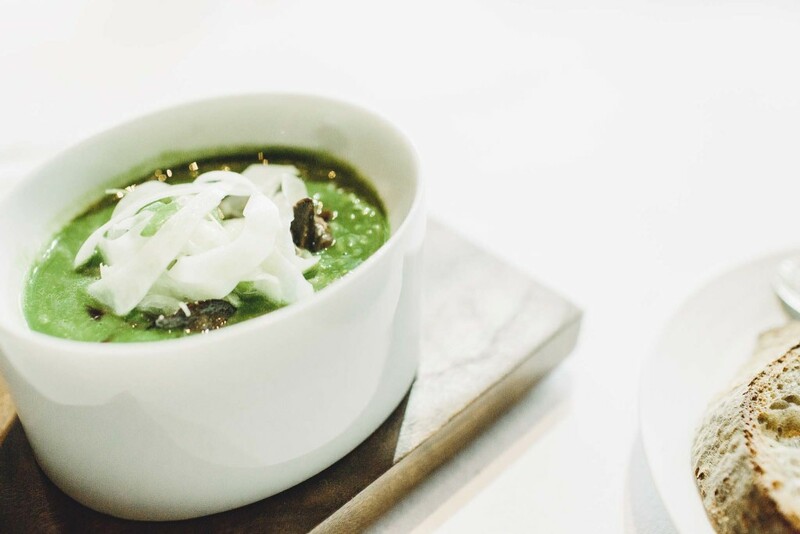 The compressed cucumber lifted the dish by adding some textural crunch and a refreshing element to all the strong flavours competing against one another. Course 4: Savoury Lollies. Waldorf salad, Salmon twister and Feast. This was a new one for me and one which I really looked forward to. I just missed out on this course the last time I went to Bray and boy did it put a smile on everyone’s face! The waldorf salad on the left had three flavours of apple, walnut and celery. The salmon twister made from salmon smoked in lapsang souchong tea, asparagus and horseradish cream was divine with a sweet and smokey aroma. The feast was a hommage that did justice to the iconic Australia golden gaytime. Chicken liver parfait was coated in fig and wine gel, and crunchy nuttiness. Whilst they were relatively small in size, the flavours were big, bold and beautiful. The next course was a familiar site and one which we never tired of. 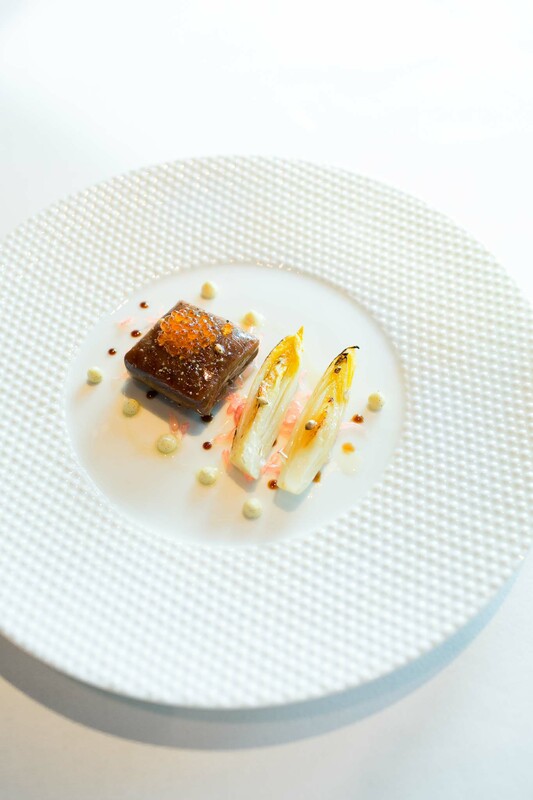 It was a tribute and hommage to Alain Chapel who was one of the founding fathers of nouvelle cuisine, and Heston had fond memories of dining at his restaurant with his parents when he was growing up. 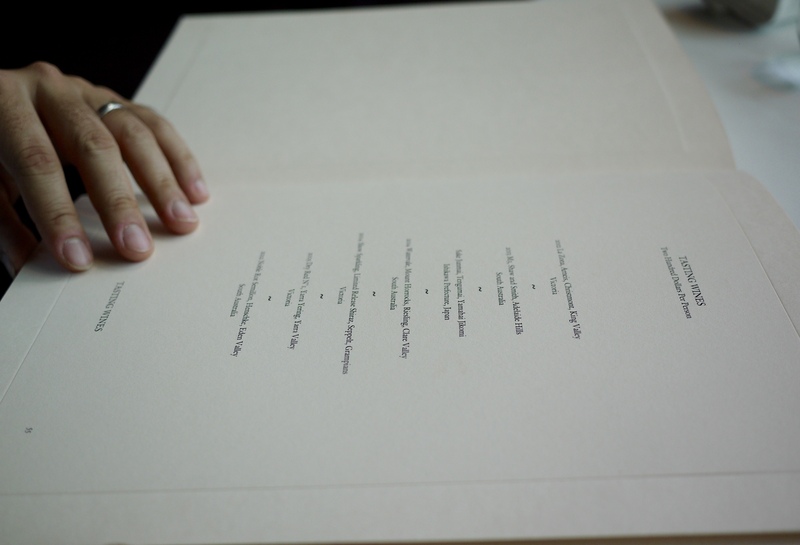 The front of house started preparing the next course by serving a pack of Fat Duck Films which were flavoured with oak and moss. 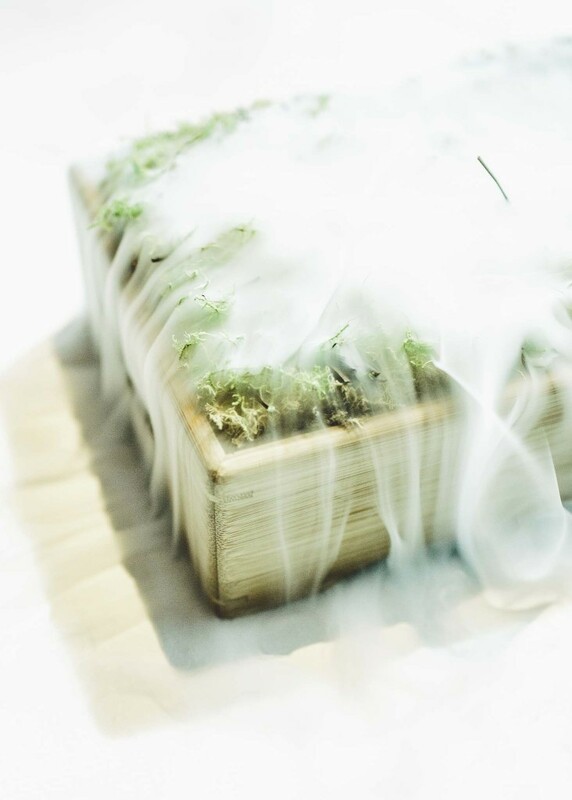 A wooden tray containing moss and dry ice was brought over to the table and water was poured carefully to release a blanket of oak and moss scented smoke to stimulate all the senses. Course 5: Jelly of Quail, Marron cream. Caviar sorbet, oak moss and truffle toast. This dish was adapted to the Australian environment utilising marron instead of crayfish. The caviar sorbet was also a new but welcomed ingredient. It was a polished dish that took the umami to a level which I had not thought possible. It was however very intense. You only needed the small portion served. 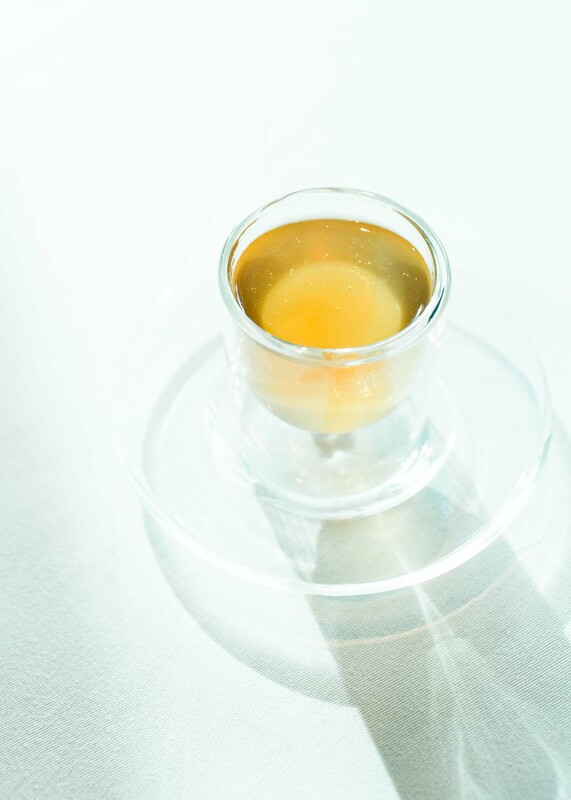 The earthy flavours of the truffle toast was complemented by the intense flavour of the jelly and cream. Course 6: Snail porridge, joselito ham and shaved fennel. Granola had been added to the dish since the last time I had this to provide some textural contrast. Whilst the dishes in the Fat Duck often stick around for a while, the team are constantly finding ways to improve the dishes. This was one such dish. It was a more filling dish than we had previously tried and worked well with the crunchy fennel shavings, juicy snail and salty ham. Course 7: Roast Marron, shiitake, confit kombu and sea lettuce. Another fine adaptation of the duck to the Australian environment. 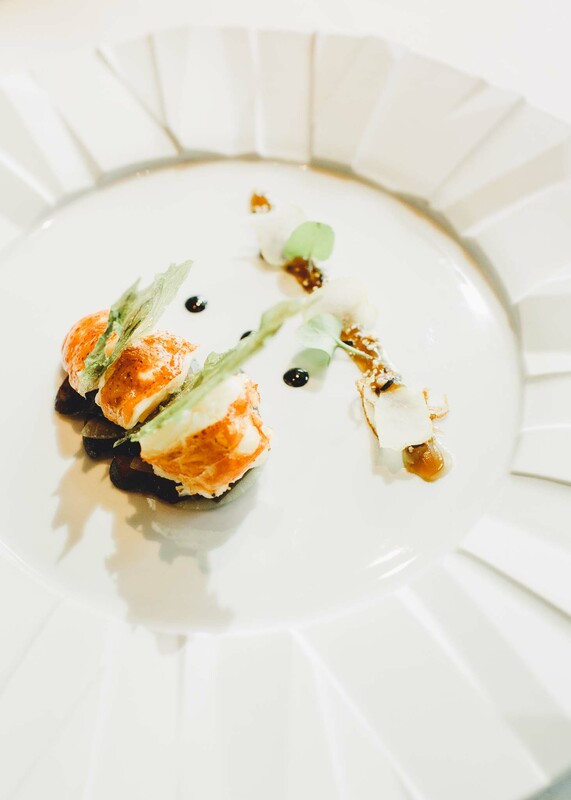 Sweet and juicy marron, umami from the kombu and shiitake and the crunchy sea lettuce. It wasn’t a bad dish but possibly the least memorable one from the meal. The touch on the pocket watch was very classy this time as it was served in a glass box. 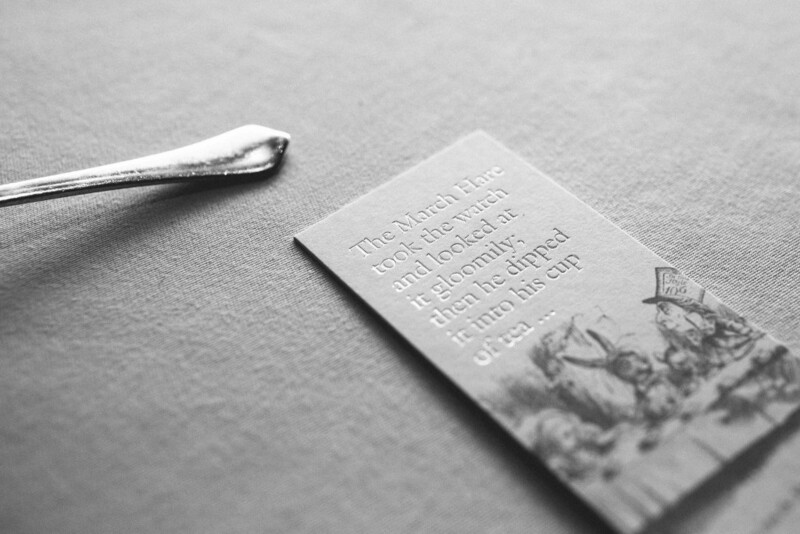 Each person had a watch given to them and carefully placed in their tea cup. When water was added it created the stock that would form the base of the soup. 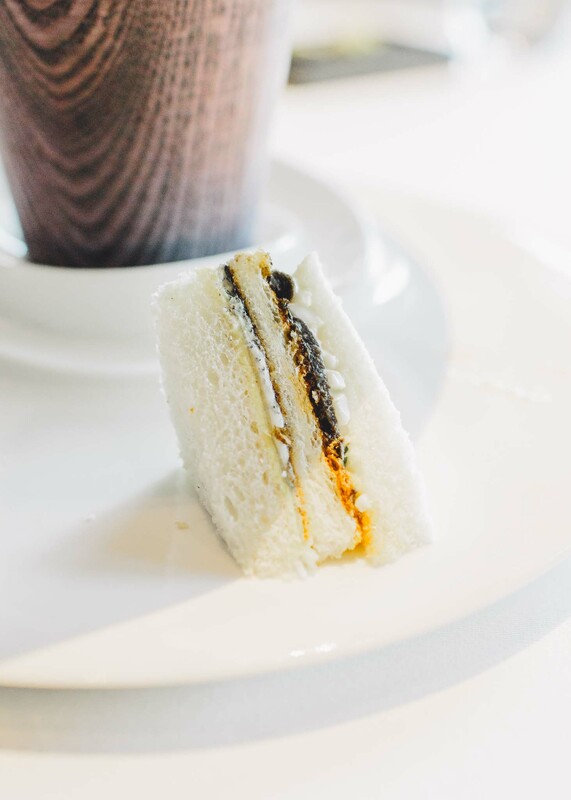 … Toasted sandwich with a filling of smoked anchovy, bone marrow, cucumber and even more black truffle. There was even a very clever layer of thin crispy toast in the middle to contrast against the fluffy white bread texture. This dish had certainly evolved significantly from the first time we tried it seven years ago. Course 9: Sound of the Sea. 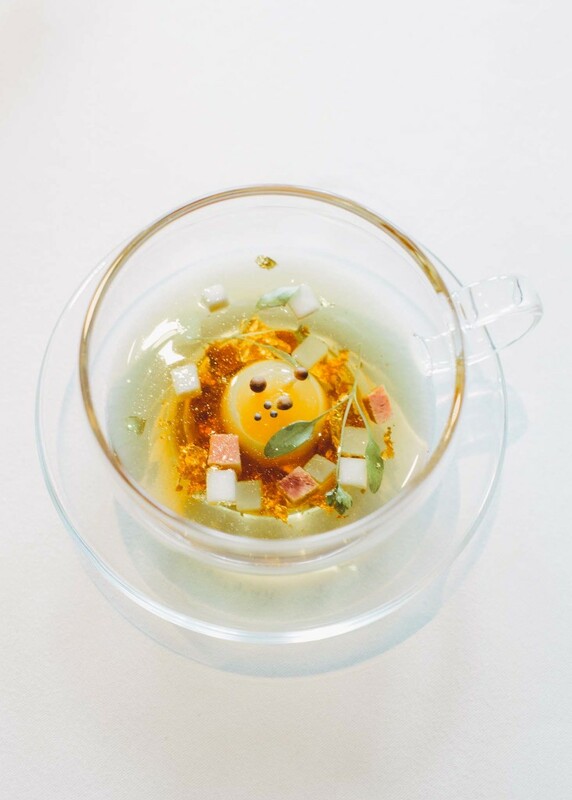 If there’s one dish that truly defined the Fat Duck for both my wife and I, this was it. It’s a personal dish that can divide opinions. However, there’s a lot of choreography and thought that goes into this dish. For one, the staff are reminded not to disturb any of the diners for a good ten minutes and therefore any paired wines are poured beforehand. The catch of the day here were kingfish, abalone and butterfish. The sea succulents of oyster leaf and dead man’s fingers were locally sourced. As the sound of the sea faded away with the last spoonful, we all came back to our senses and shared our experience. Course 10: Salmon poached in liquorice gel, endive, vanilla mayonnaise and golden trout roe. Perfectly poached salmon, beautiful balance of the savoury fish and sweet endives, with the occasional bursts of saltiness from the roe. 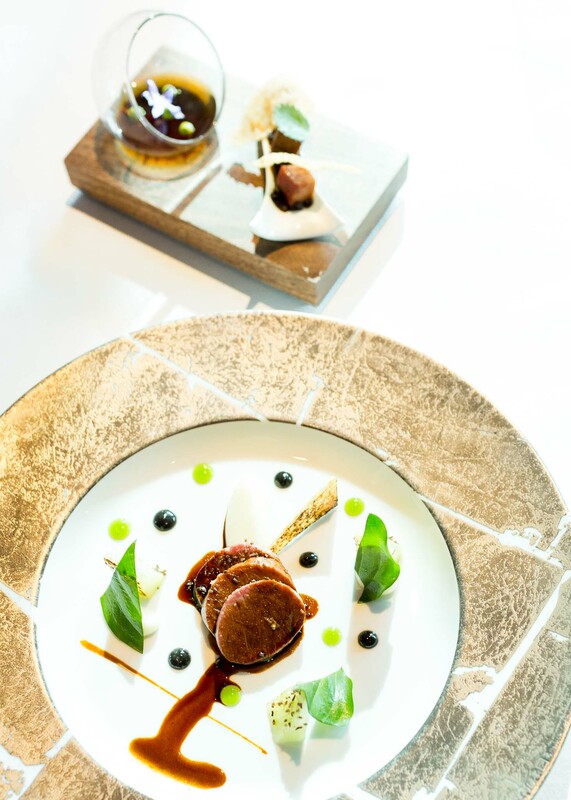 During this dish we again experienced the extraordinary nature of the fat duck front of house. Our friend who had the luxury wine pairing had momentarily crinkled her nose in nanosecond of dissatisfaction with the paired sparkling shiraz (sparkling shiraz can be a polarising drink). I kid you not, within 15 seconds Dimitri had whisked away her glass without making any fuss (and despite her polite protest, that the wine was fine but it was just not really her thing) and served her a delicious glass of the Yarra Yering Dry Red No. 1. As it turned out it was an inspired recommendation (and one which subsequently resulted in my friend investing heavily in this wine). Course 11: Lamb with cucumber, green pepper and caraway. A quietly brilliant lamb dish sourced from South Australia. 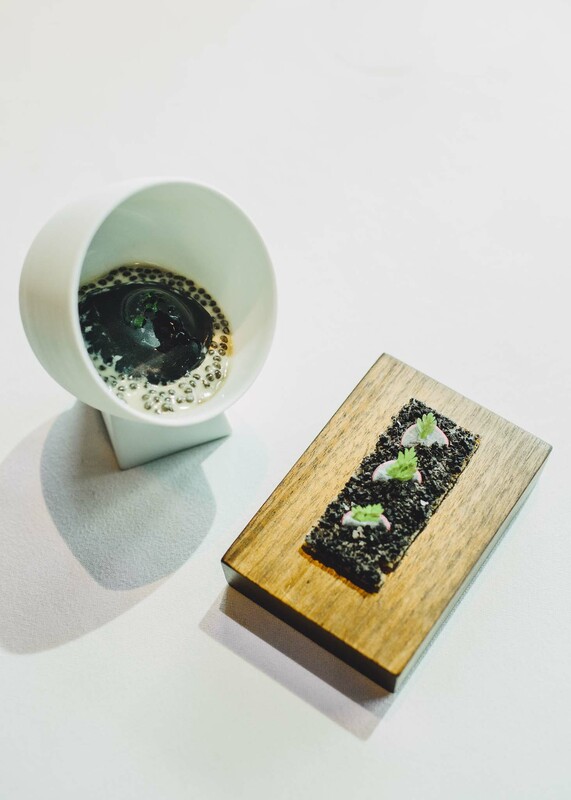 The dish was served in two parts including lamb tongue, heart and trimmings, pea-shaped mint emulsion, quinoa crisps and a delicious lamb consommé jelly. This was definitely one of the best lamb dishes I’d had in Australia, although it still didn’t quite reach the perfection that the Sportsman in Whitstable has achieved. Course 12: Hot and iced tea. It’s always fun to watch the reaction of those who have never tried this dish previously. It just blows your mind. I am not going to spoil the effect by divulging the mechanism (although it can be found elsewhere). One word of advice. Don’t rotate the glass around as it is served at a certain orientation to ensure the hot and cold elements go to opposite ends of your cheek to achieve maximum effect. 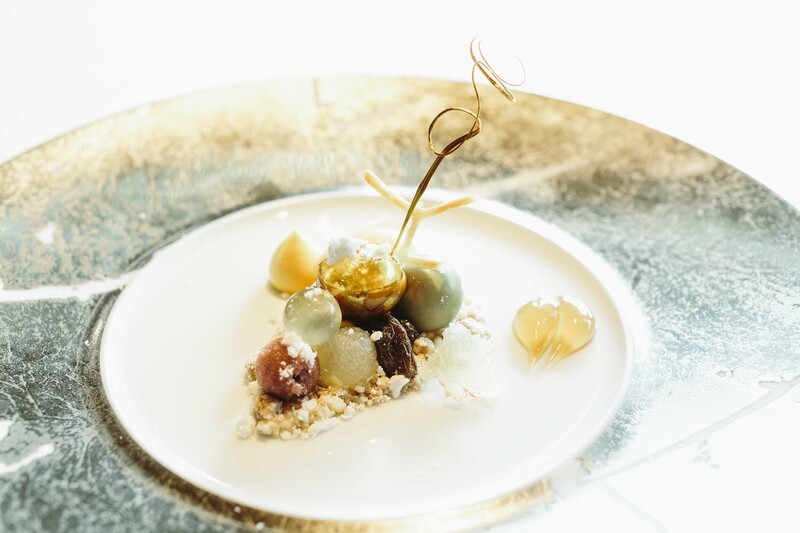 Course 13: Botrytis Cinerea. This was hands down my favourite dish of the day, old or new. Other than the artistic way in which this abstract grape had been presented, there were so many thing going on this plate. There were 80 ingredients, 23 elements and 55 stages. 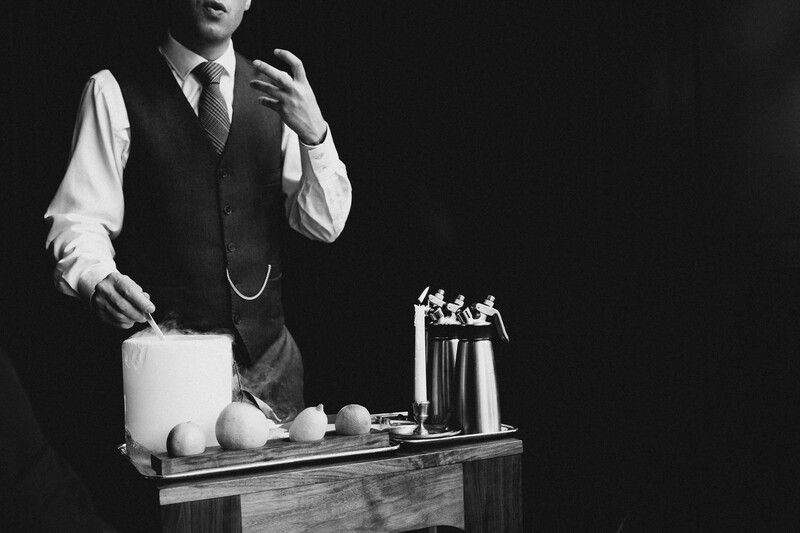 You had everything from a churro stalk and compressed red grape in liquid nitrogen, to citrus sorbet, aerated saffron and pear caramel. What was most impressive, however, was that it all occurred in perfect harmony. Course 14: The Not-so-full English Breakfast. One of Heston’s signature dish consisting of bacon and egg ice cream, candied bacon on a bed of French toast. The ice cream, prepared in liquid nitrogen, was not quite as creamy as I had previously tried it on my last two occasion in Bray however the flavour was there with a delicious contrast of sweet and savoury, soft bread and crunchy bacon, warm bread and cold ice cream. If only the ice cream was creamier! 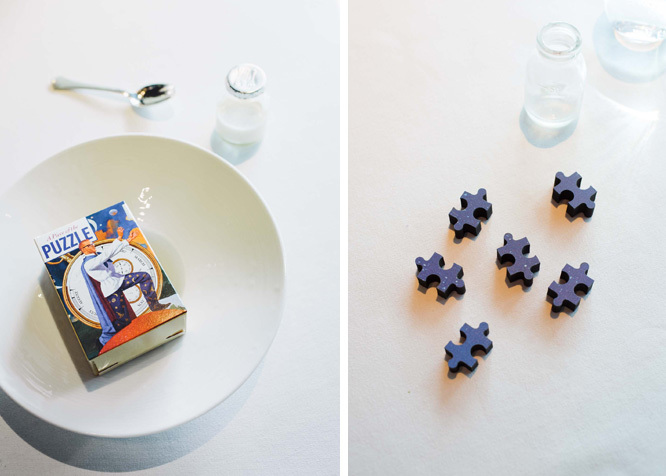 The course was accompanied with a box containing puzzle pieces which were to be slotted into the wall as part of Fat Duck history, and some candied parsnips with parsnip milk to be consumed as a cereal. I’ve had this dish before and must admit it hasn’t quite struck a cord with me previously nor on this occasion. It was certainly crispy, crunchy and sweet…. but it just didn’t feel anything special. Course 15: Whiskey wine gum. 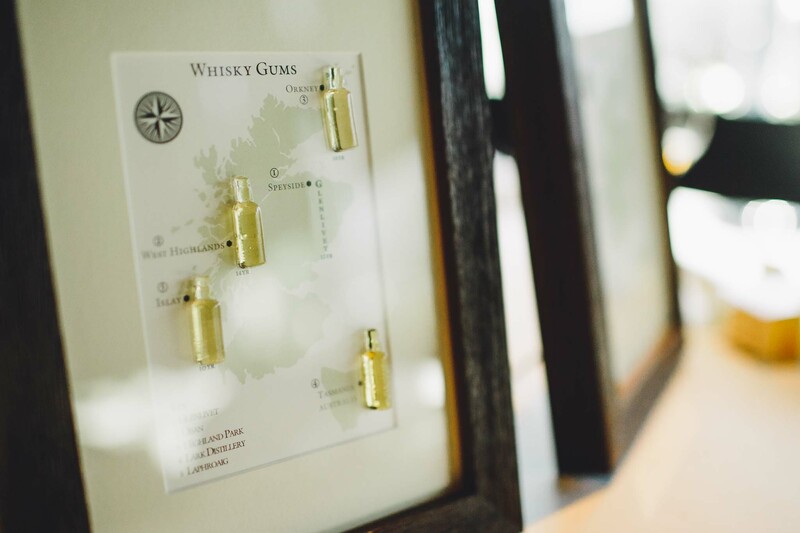 I absolutely love whiskey and still haven’t come across any other restaurant that can do something so unique and fun with it like Heston (I have still not forgiven Disfrutar for their somewhat desperate whiskey handwash dish!!). On this occasion, one of the whiskey was sourced from Lark distillery in Tasmania alongside Oban, Laphroaig, Highland Park and Glenlivet. As Dimitri packed away our sweets to have at home (Like a kid in a sweet shop) we realised that we were the last ones in the dining room, again. What’s more, we were only 30 mins away from the start of the dinner service (taking our dining time to a new Australian record of 5 hours and 30 mins) so we knew we had to get our bill before we overstayed our welcome. What amazed me again was that at no point were we made uncomfortable or pressured to getting our bill, despite how close they were to the next service. It was perfect execution by the whole team. 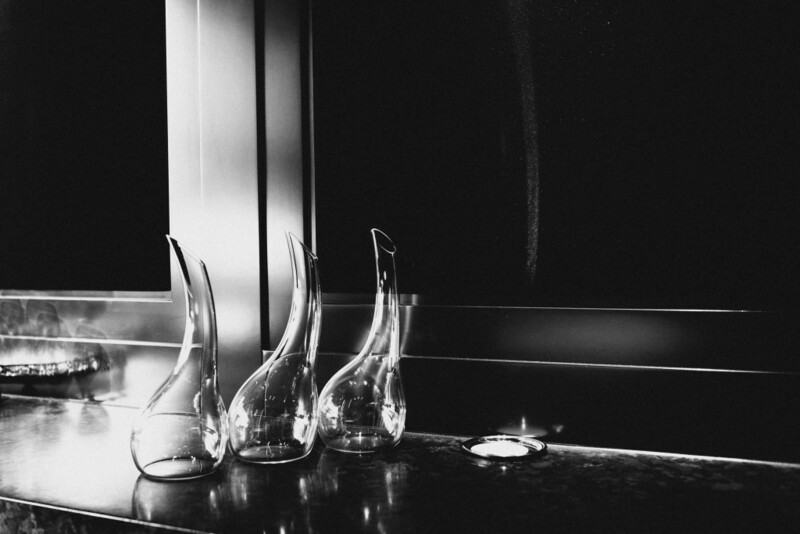 Our meal at the Fat Duck was flawless and magical as my previous two experiences. The front of house was phenomenal. 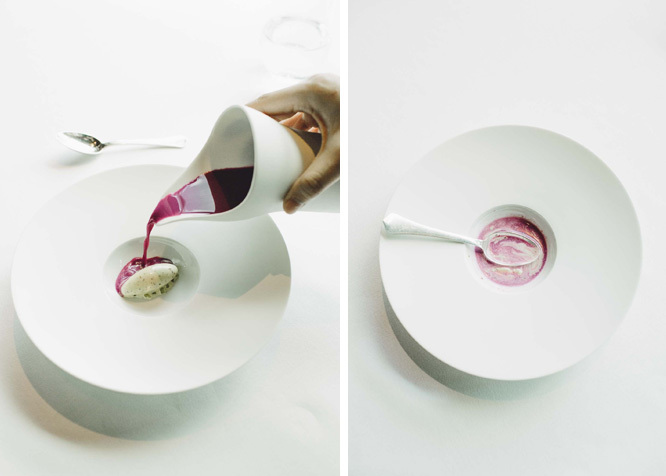 It was clearly evident to all of us that what the Fat Duck did was highlight the sad truth that Australia still had a long way to go when it came to hospitality. 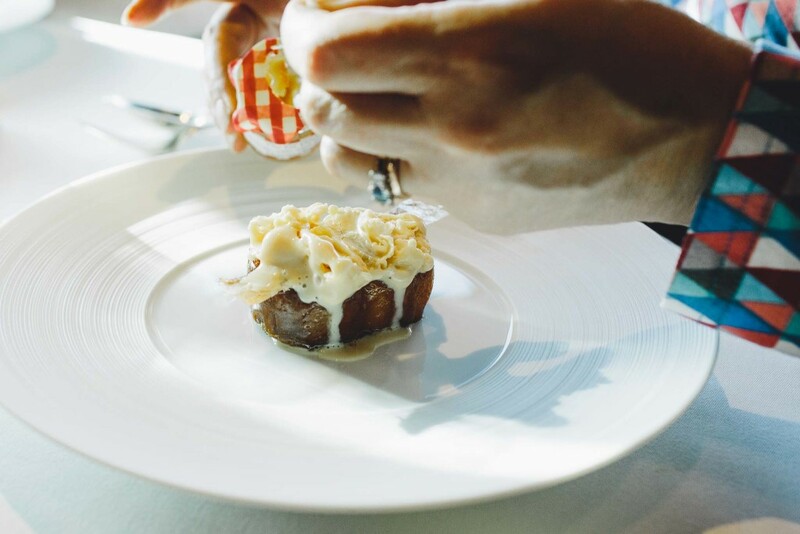 While the service in other fine dining Australia restaurants are obviously very good, it was clear that they are not in the same league as the best the world had to offer. So was it worth the hefty price tag? Without a shadow of a doubt, yes, and I would pay it again even if I had to eat beans and toast for the next few week. This entry was posted in Asia, Australia and tagged Australia, Botrytis Cinerea, Bray, Dimitri Bellos, Fat Duck, Heston Blumenthal, Melbourne, sound of the sea on June 7, 2017 by admin.